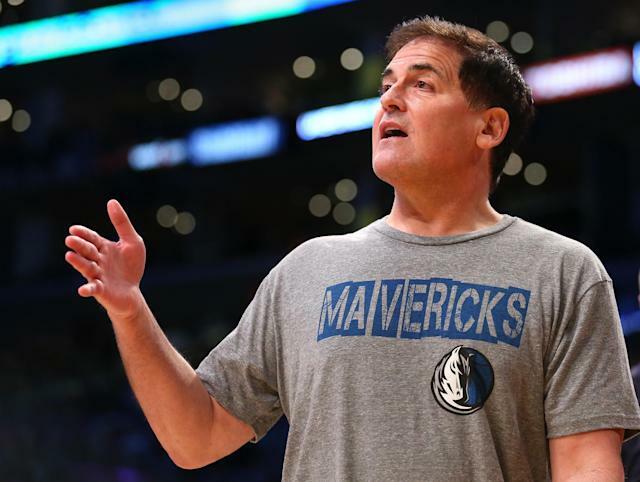 In his first public comments on DeAndre Jordan's decision to renege on the commitment he made to join the Dallas Mavericks, owner Mark Cuban said that he hasn't communicated with Jordan since Tuesday night. There will be a time when I detail everything I know regarding the last 48 hours. I don't think the time is right to say anything beyond the facts that he never responded to me at all yesterday. Not once. To this minute I have not heard anything from him since Tuesday night. Soon after, Cuban moved to Twitter to loudly (and with some not-suitable-for-work language) dispute a report by ESPN.com's Chris Broussard that claimed the Mavericks owner was driving around and texting Jordan's family members, looking for Jordan's address in Houston. Cuban says he knows Jordan's address, and told Deadspin's Tom Ley that he "was in [his] hotel all day yesterday." Broussard's sticking to his story, for what it's worth. Cuban's version of events dovetails with Wednesday reports from multiple sources indicating that Jordan hadn't communicated with the Mavs since Tuesday, and that he wasn't taking calls from Cuban, Mavericks forward Chandler Parsons or his agent, Dan Fegan of Relativity Sports. When (or if) Jordan actually winds up having those conversations, I wouldn't expect him to hear particularly friendly tones of voice on the other end of the line. Whether you see Jordan as some sort of supervillain in all this, just a young man who had a change of heart about how he'd like to spend the next four years of his life and perhaps didn't handle that the best possible way, or somewhere in between may well depend on whether you're one of those "MFFL" — "Mavs fans for life" — Cuban referenced. Whatever your perspective on how this fiasco unfolded, though, it's indisputable that Jordan's decommitment puts the Mavericks in a decidedly unwelcome position very similar to the one in which the Clips seemed to find themselves with Jordan agreed to terms with Dallas. I'll be brutally honest. Literally, we wanted to get Wes, he was a target for us all summer and we wanted to get DeAndre as well, but if we got shut out, we weren't going to try and fill the roster. We literally had the discussion that if we couldn't get a serious free agent, whether it was DeAndre or one of the others guys that are still out there or any of the earlier ones that went, that it was time to take a step back. The reason why we thought this year versus other years was simple math. Over the last few years, there was a race to the bottom with six or seven teams trying to have the worst record, but most of those teams have improved themselves significantly through the draft or free agency or both, or just getting better and playing better together like Orlando. We felt like this year there aren't going to be six teams in the race together, especially in the Western Conference. Utah's significantly better, Sacramento is significantly better, Denver is even going to be significantly better with Gallinari being healthy and etc. ... who was going to be that team that was going to be really, really, really bad no matter what? Because I think there's only going to be two, maybe three teams in that race to the bottom, we said, "OK, this could be our David Robinson year" and we go out and get someone who we think we can develop and who is supposed to be an impact player and we take our lumps, we have lots of cap room and we do lots of trades to add lots of draft picks. Because draft picks, the way the cap is going, is only going to increase in value significantly. Fortunately that didn't happen! Except that, y'know, it did. But it also didn't, because Matthews is going to stick around and take his full four-year deal, and Dallas has already reached "fill out the roster" agreements with the likes of J.J. Barea, Jeremy Evans, Charlie Villanueva and Richard Jefferson. Sinking down that low could well require selling off Parsons and Nowitzki to contenders before the trade deadline. The former's possible and perhaps even advisable, given the likelihood of Parsons exercising the player option he holds for 2016-17 to re-enter free agency next summer. The latter might be a respectful way to try to give the 37-year-old legend another crack at a ring, but it also feels like an absolute karmic nightmare. Barring such a fire sale, then, the Mavs might be too bad to make the playoffs but too good to keep their pick. They're stuck in the middle; they're caught in the air. Parsons is used to being on the other end of that feeling. In this case, though, DeAndre's was better, so Cuban and company are the ones getting dusted on.